The Fred to your Ginger. Here at Northland ebikes we have the biggest range of ebikes north of the Auckland Harbour Bridge with over 30 different models in store! What does this mean you ask? It means that we can find your perfect fit. The Laurel to your Hardy, the Fred to your Ginger. A super light manoeuvrable ebike. Great for your city commuter or getting out on those cycle trails. Super light, super powerful, super comfortable. Perfect! A perfect on-road off-road bike for getting around town and enjoying more adventurous cycle trails. Low bar for comfort. In store now. Want to push the limits and take on big adventures? Go further.....ride even bigger hills and get more rising done. Why not ride in comfort. A full suspension electric bike offers maximum comfort when riding the cycle trails. Great bike for around town and commuting from home to work/shops. A great trail bike with geometry purpose designed for a women's frame and reach. The stepthrough you love, only better! Does it get any better than this trail shredder? Fully packed with awesome specs to rip up the trails! Features a seamlessly integrated battery combined with a low-step frame and a striking red finish. Unbeatable value and quality. A low step over and upright seating make it a favourite for effortless cruising. The Landrover of step throughs! The perfect electric rail trail bike! Our Cross Hybrid ONE is a bike for all reasons. It's an e-bike that'll reliably accompany you on all your cycling adventures. ON SALE ONLY TILL 22 DECEMBER! The perfect combination of style, speed, comfort and affordability. The Pacer is a New Zealand designed premium electric hybrid/commuting ebike. A folding bike that rides like a bigger bike! A quality emountainbike to tackle trails with ease. Take an ebike home for a day! Take one of our ebikes home for a demo ride in your local quiet street, park, driveway or hill so you can be assured it does what it needs to, where it needs to. 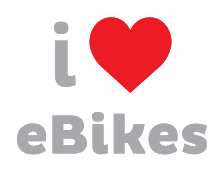 You are welcome to take a test ride and really see just how awesome ebikes are.